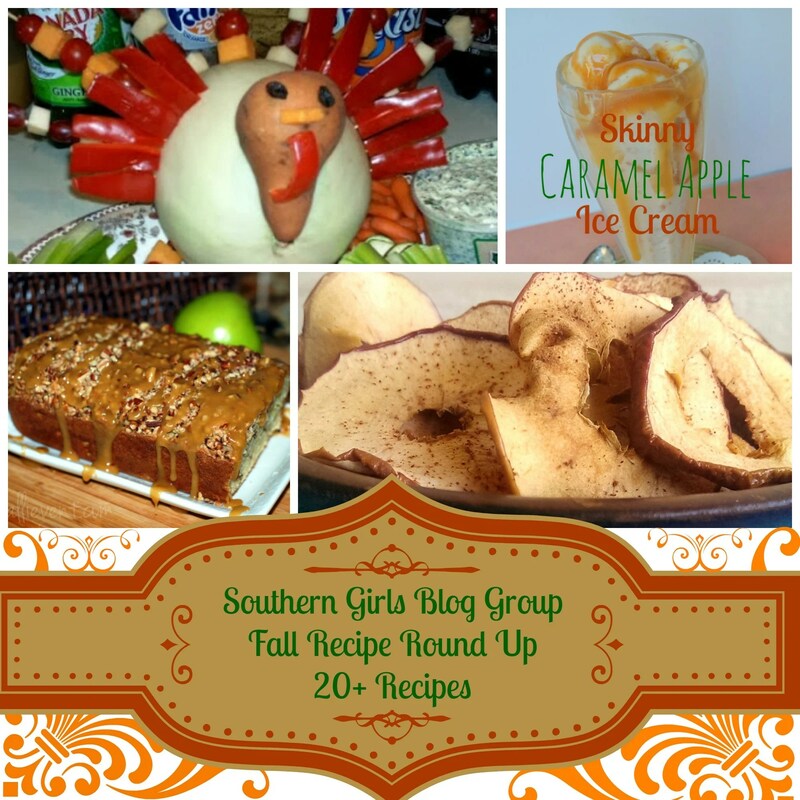 You are sure to find some new Fall Recipes to try in this collection from the Southern Girls Blog Group. Fall just brings out the inspiration in all of us! We have snacks, beverages, main dishes, side dishes and desserts in this collection! These Apple Chips are indeed super simply with only 2 ingredients! This tasty granola is good served with a side of yogurt and makes a nice dessert alternative. With only 4 ingredients in the dip, this is a super easy recipe! Only 5 ingredients and preparation time is mere minutes! Apples and pork make a good combination in the Fall! In the south, when folks talk about ‘stew’, we just automatically know they mean Brunswick Stew! A good meatball recipe is a valuable asset to your recipe collection! A fun, edible food craft to make and enjoy with the children which also provides a homeschool teachable moment. Fall brings out the best vegetable casseroles, doesn’t it! These green beans are perfect for your Thanksgiving dinner. I hope you found some new additions to your recipe collection! There are some droolworthy dishes on this list! Hello from Home Matters. Awesome roundup. 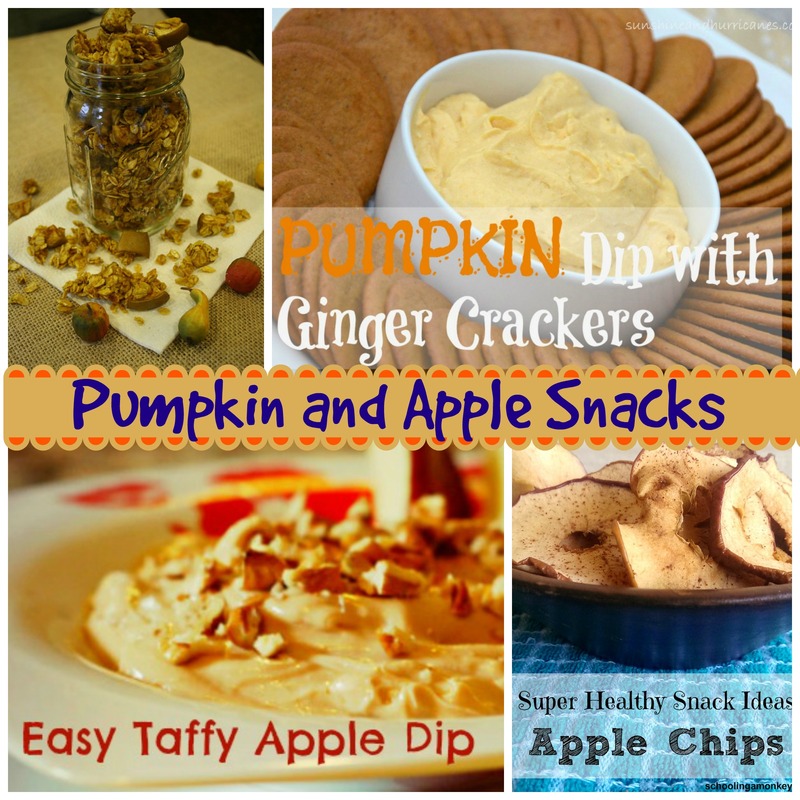 I would love to try the Easy Pumpkin Dip with Ginger Crackers. Doesn’t that recipe sound yummy!! I’d like to try that one too. Thanks for stopping by Erica, glad to have you. Hope you linked up at Home Matters. Oh I see a lot of yummy recipes on here. I’m gaining weight just looking at them 🙂 I love the fall season and all the scrumptious recipes. All of these recipes are fantastic! I’m really loving all of the dessert ideas – especially the no-bake pumpkie pie! 🙂 Thanks so much for sharing! Great round up this week I cant wait to pin away! What a great collection of recipes! I’m a little overwhelmed by all the tastiness, but I must say, the Gluten-Free Pumpkin-Shaped Rice Crispy Treats caught my eye! The maple apple pork chops sound really yummy. I’m going to pin this recipe. 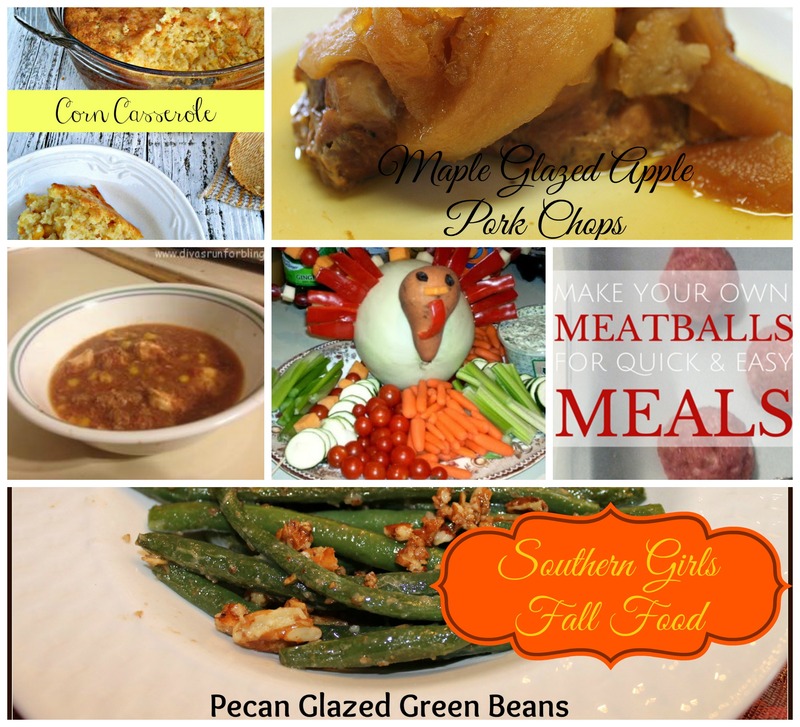 The pecan green beans also sound really yummy. These all look incredible! I can’t wait to try the caramel ice cream! What an awesome roundup! I am not from the South but lived in Grenville, SC for a while and loved the food there! Fall recipes are just so yummy! I love fall, I love food and I love all the colors. Did I see I love fall? Thank you for sharing all the yummines! 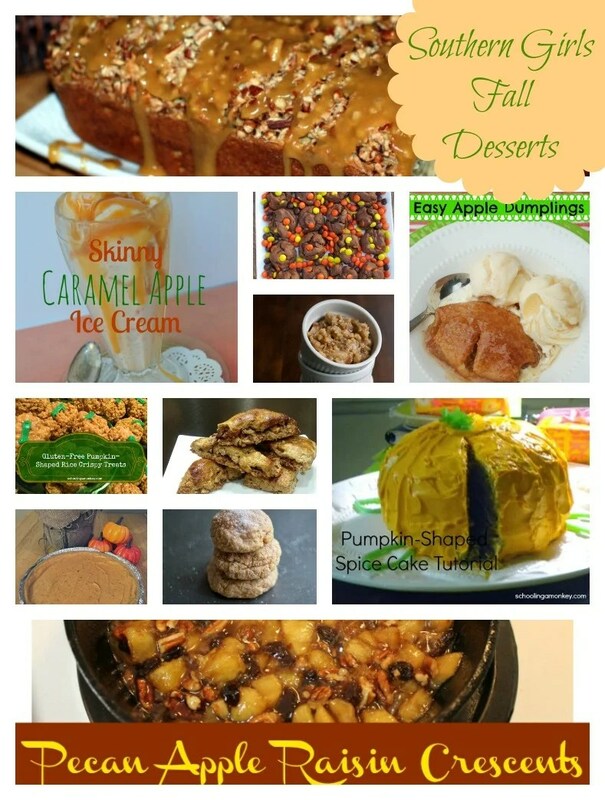 I LOVE all of these fall recipes, I can’t wait to try them! I’ve been eating healthier and focusing on losing weight, so I love that you included some skinny recipes. That skinny pumpkin pie looks amazing! I’ve been searching for a healthier option for Thanksgiving dessert, and I think that’s what I’m going to try! Our favorite fall food (snack) as we move into the holiday season is Chex mix. We make it at home a couple gallons at a time! My daughter who has 5 of the sweetest children in the world (I may be biased) makes Chex mix the same way in the fall 🙂 Thanks for stopping by, Scott. Yum! They all look so scrumptious! You did a good job of getting the roundup together! Thanks for the roundup and for including my apple recipes! Thanks Alli. It was really fun. I need to start making some of these fabulous recipes now. That Apple bread is on my list! Wow plenty of choice here. I don’t know what to make first! Nick, just start at the top and work your way down! Thanks for stopping by. Thanks Heather. There are lots to choose from. My favorite fall food is anything with apples. I need to make some of these pumpkin desserts for my family!